Black Hole Club officially returns on March 3rd with a takeover of Digbeth first Friday’s event at Vivid Projects. The night will feature the work of members both new and existing. The Black Hole Club returns with a night of experimental new work in progress featuring performance, video, slides and assemblages. Focusing on the world around us, the works explore brutalism and taxonomies of the city ; ritual assemblage and incantations; states of mind; narratives of water and the body … and a golden glitter bath. Featuring: Pete Ashton, Alex Billingham, David Checkley, Elizabeth Cuffley, Ferric Lux, Patrick Goodall, Barry Griffiths, Jaime Jackson, Sian Macfarlane, David Poole, Kate Spence and Sarah Walden. 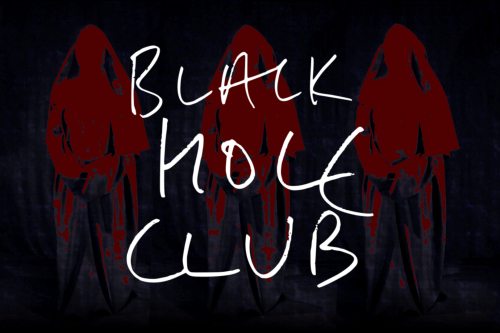 I’ve been running Black Hole Club since 2015 and have organised events for it including I Am A Strange Loop, a Dirty Video Mixer workshop, a visit to Interact Labs at Phoenix in Leicester, various Crit Clubs, and more! There’s still time to join this year. Contact antonio@vividprojects.org.uk for more information.